The Australian wine industry is the second biggest supplier of wine to the UK and the 4th biggest exporter in the world. It has been over the last 30 years one of the major New World success stories. However ‘samey’ mass produced wines at low prices have started to put off an ever more food and drink aware British public. Whilst sales of Australian wine top the charts in supermarkets (where sometimes you can find little else), out side the supermarket the public still pip for French above all other wines. Attempts at making wine go right back to the colonisation of Australia. The whole world over, wherever the Europeans have colonised wine has been then with them. 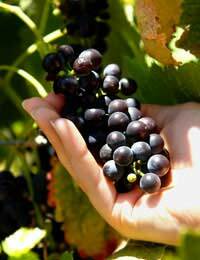 Although grapes were not indigenous to Australia, the climate was favourable, and barring initial differences due to the differing terrain, wine was in full scale production by the early 19th Century. Australian wine improved with time, and with a second wave of settlers, who unlike the convicts that had preceded them, were free to spend time and money exploring the terroir native to Australia. There was some success in developing traditionally French grapes until Phylloxera – a crop disease caused by insects - decimated crops. Not until the prolonged relative prosperity, buoyed largely by tourism – of the 1970’s on wards did Australian wine revive its prospects, ploughing ahead with an export rise unprecedented in wine history. Australia, a nation known for its beer drinking saw the potential financially in wine. The result has been a changing market – simple, direct and strong flavours made with mass market appeal and branded on television. Names like ‘Blossom Hill’ are better known by an emerging demographic than any French wine estate. This has stood the Aussies in good stead. However, this emerging demographic, lured away from beer towards the joy of a bottle of Australian Chardonnay at home with friends (watching ‘Friends’, which used to carry wine sponsorship on C4!) have naturally progressed and have become more discerning, along, of course with the older generation of wine lovers who were never to be hoodwinked! Australian wine has suffered in these last few years as a result, with the Times newspaper reporting that sales of Australian wine have gone down 18% in Off-Licences in the last year and 3% in Supermarkets. A bad crop for the third time since 2007 and a change in buying attitudes may demand that Australians pay more heed to viticulture and less to wooing popular culture! In all fairness, Australia is well known for some quality wines and often at a cheaper price than those from the European mainland. Rieslings come in for particular critical acclaim, and arguably an Australian sparkling wine really can compete with a low-end to middle range Champagne, and for half the price or less. Australian wine regions are strictly regulated giving the customer assurance that they know where their wine comes from. There are 21 wine regions in Australia, although the importance of region to the UK consumer is debatable as mush of what is on offer is produced for a mass market, with flavours not necessarily reflecting the terrain of the area that they are produced in. Red: Cabernet Sauvignon and Shiraz. White: Chardonnay, Sauvignon Blanc, Riesling and Semillon.